The Figure Modeling Materials kit is for students taking the Academy of Art University, Foundations Figure Modeling Class FND 131. 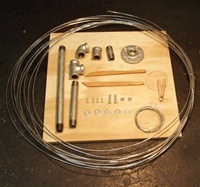 The Materials Kit has all of the hardware and wire needed for this class, plus clay modeling tools. Students will still need the Reference Cast Kit sold separately. Clay Is not in this kit. 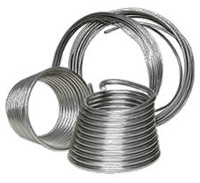 The Head and Figure Sculpture 1 wire kit comes with 60 feet 1/8 inch wire, 11 feet 3/16 inch wire, and 15 feet galvanized wire.